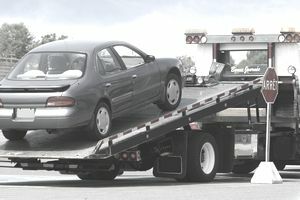 Getting your vehicle repossessed is extremely stressful. When finances are this tight, it is hard to get a good night's sleep. Once the bank has actually gone through with the repossession process, you might be wondering what you can do to get your car back, if anything. Well, the good news is, it is possible. The bad news is, it is not going to be easy, and you do not have much time. Regardless of which option you choose to get your vehicle back from your lender, time is ticking away, and fast! Unfortunately, I can not offer you hard dates and time allowances to go by, in this all-inclusive type article, because it can vary by state and your lender agreement. From what I can tell, in some states, a minimum of 10 days after you receive written notice is all the time you get before your vehicle is auctioned off. 15 days is most commonly used as the set amount of time whether you are able to choose to pay your back payments or redeem your vehicle by paying it off in full. If you do not receive notification from your lender after the repossession spelling out your options, you need to call them as soon as possible. If you never receive written notification, you should contact a repossession lawyer for help. Remember to check your paperwork to find the exact allotment of time allowed. Before you receive this information, it is a good idea to call around to any relatives and friends that you think might be in a position to help you out. If you are able to borrow some money in an informal way, you just might be able to save your vehicle from permanent repossession. How Will Repossession Affect My Credit? Well, as you might suspect, having a repossession on your record is going to negatively affect your credit. Both a voluntary surrender and a repossession will remain on your credit record for seven years. In terms of how much damage will be done to your score, it will likely be significant. It is not only the repossession itself, but also the fact that in order for your car to be repossessed, you will likely be very delinquent on your payments – it’s really a last resort. Working with your lender instead of having to resort to repossession is always in your best financial interest. It might at least leave the door open with this particular lender if you need another loan in the near future. How Will Repossession Affect My Car Insurance? Do not make any fast moves when it comes to your car insurance. It is best to keep your car insurance policy active while going through a repossession. If you are able to get your vehicle back, you do not want to deal with a car insurance lapse too. Canceling your car insurance policy even for a couple of weeks can put you at risk for nearly double the rates when you go to purchase another policy. Keeping at least one vehicle insured at all times is the only way to prevent such a hassle. Getting your vehicle back after a repossession is tough. Most likely you are in this position because you can not afford your current payments. Coming up with the cash to pay off your loan or even the back payments might not be an option for you. Sometimes a repossession can be the first step in getting your finances back in line. It is possible to rebuild your credit with time.